Nienaber landscaping knows what it takes to have a beautiful garden through the year: planning, spending time, working and caring. Keeping your landscape in shape requires year round maintenance which we are prepared to do. Our employees are as experienced as any landscaper in Bellevue, WA and can take care of all of your needs. We encourage our employees to take ownership of your landscape maintenance and make it look the best we can. 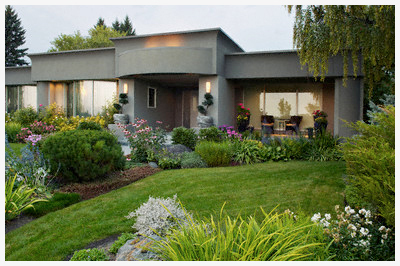 We have been designing, installing, landscaping, and performing landscaping service in Bellevue, WA for over 40 years. We work on all sizes of landscape projects, our work involves projects including lawn installation, irrigation systems, rock walls, water features, we also work with iron paving systems, soils, plantings, and much more. Give us a call today for a free consultation and learn more about how we can transform your lawn and garden into your quality outdoor living space. We’re a fully-licensed contractor within the State of Washington (#NIENALL949LB). We’re also bonded and insured for your peace of mind. We have over 40 years of professional experience in lawn care and landscaping. 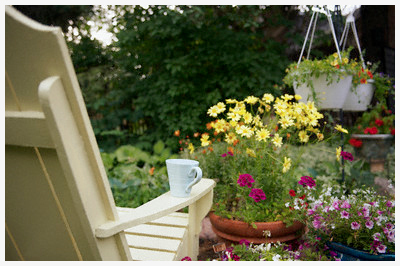 We specialize in landscape renovations for residential and commercial properties. Our team is pleased to offer free estimates on all work, regardless of property size or the scope of services required. From landscape upkeep and maintenance to a full and complete landscape renovation, we’re here to help you beautiful your property. Contact us today for a free estimate on services. November 1, 2018 Jan & Allen W.
"Nienaber Landscaping is a topnotch company! They have maintained our lawn and plants for about 15 years, installed a large beautiful water f..."
June 27, 2017 Denetta A. "This is a great company! The owner, Paul is very personable, knowledgeable, and honorable."